When I buy fruit I find that I almost always buy more than I need. In fact, I would go so far as to say I do that with most food. That isn’t to say I am forever throwing away perfectly good food, but I plan for a dessert or salad and then overbuy with abandon and have to come up with a second, and even third recipe to use it all up. 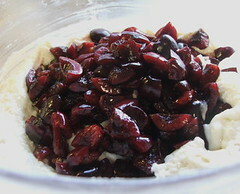 That is what happened when I bought cherries for my Cherry Cheese Tart. I bought loads of pretty cherries and used maybe half. I ate about a third of the remaining cherries but decided that I needed to come up with a second recipe to use up my cherry excess. Along with my cherry I had a lone lemon. 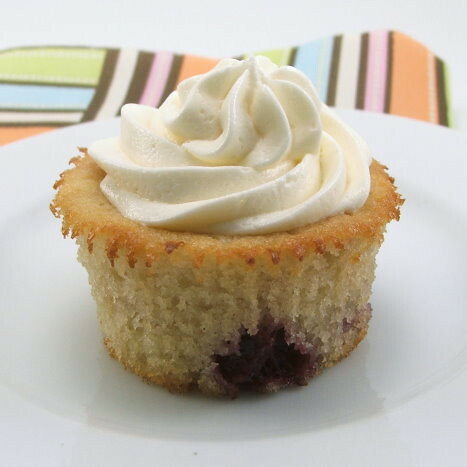 It needed a purpose and since cherry and lemon get along so well I decided that purpose would be in the form of a refreshingly sweet and tart cupcake! 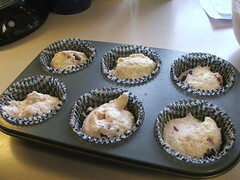 Heat the oven to 350 F and line a cupcake pan with paper liners, or spray 2 – 8″ cake pans with non-stick spray. 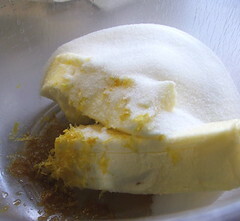 In a large bowl cream the butter, sugar, lemon zest, and vanilla until well mixed and lighter in color. Add the eggs, one at a time, and blend well. 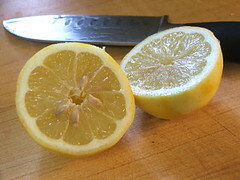 In a large measuring cup, or in a bowl, combine the buttermilk and lemon juice. Mix well. Sift the dry ingredients into a large bowl, making sure they are well mixed. 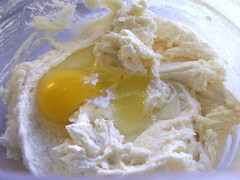 Alternately add the flour mixture and buttermilk into the creamed butter in three additions, beginning and ending with the flour. Fold in the cherries. 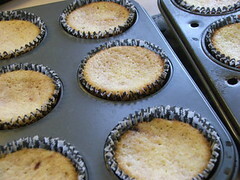 Scoop the batter into the cupcake liners, filling them no more than 2/3 full, or divide into the prepared cake pans. 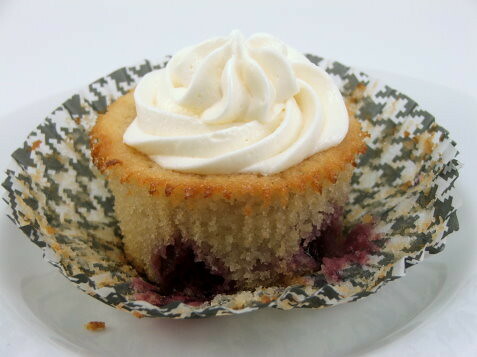 Bake the cupcakes for 20 to 25 minutes, the cakes for 30 to 40 minutes, or until the cake springs back in the center when pressed lightly. 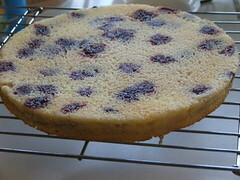 Cool for ten minutes in the pan before turning out on to a wire rack to cool completely. 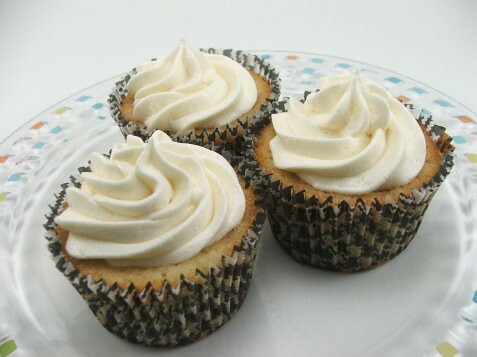 The cupcakes will have a slight dip in the top. 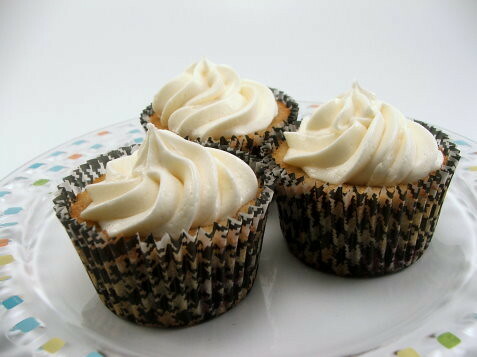 While the cakes cool make the frosting. 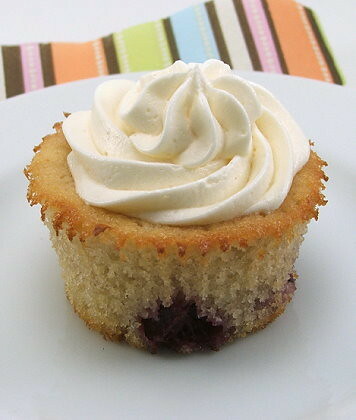 Combine all the ingredients in a large bowl, or in the bowl of a stand mixer, and blend well.